When a well-to-do family asks Sallie Riehl to be their daughter's nanny for the summer at their Cape May, New Jersey, vacation home, she jumps at the chance to broaden her horizons beyond the Lancaster County Amish community where she grew up. Curious by nature, Sallie loves reading and learning, and she fears that her chances of making a good match with an Amish farmer will be hampered because of it. Though she loves taking care of nine-year-old Autumn Weaver during the week, Sallie has free time on the weekends to enjoy the shore. It is there that she meets Edward Kreider, a young marine biology student who talks freely about all he's learning and asks about her interests, unlike the guys she grew up with. Sallie wonders if this is the kind of relationship she's been longing for. Then again, Ed isn't from her community--and he's Mennonite, not Amish. Sallie is afraid of what her parents would think about her new friendship. But that's not all she's fearful of. When unexpected danger threatens Autumn, Sallie will have to put her fears aside. Will this be a summer to remember, or one to forget? 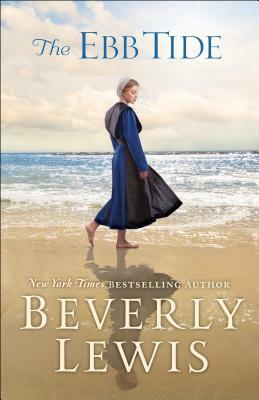 Review: Beverly Lewis definitely has a way with Amish Fiction. The Ebb Tide was a wonderful, light read, with just a touch of the drama that Lewis sprinkles in all of her novels. Sallie is a different sort of Amish girl. She has dreams of travel, which totally goes against her beliefs. Her original dream was to visit Australia, but when a family member needs help, she foregoes that dream, only to have an English family offer her a chance to visit the Jersey shore, at Cape May. She takes on the job as a Nanny for a family she's known from the restaurant. Autumn is a beautiful girl having trouble adjusting to her new baby brother. The dynamic between Sallie and Autumn is lovely and when she meets Kevin a young man studying to be a marine biologist, she feels a connection to him, even though there is an Amish man who has his eye on her. Lewis portrays Sallie's struggle with her faith as well as her desire to see the world in a way that's mostly believable. In some ways everything falls together too nicely for Sallie, especially as she weighs her options of joining the church and going "fancy" and having a relationship with Kevin. There is a plus to her budding relationship with Kevin. He may be an Englisher, but he has Amish ties in his family. He's totally sweet and has a strong faith, as well. I loved Lewis' descriptions of Cape May, so much so that I really want to visit that area some day.